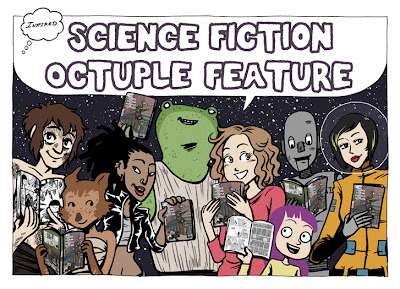 The new Inspired anthology Science Fiction Octuple Feature arrived in the post at the weekend. 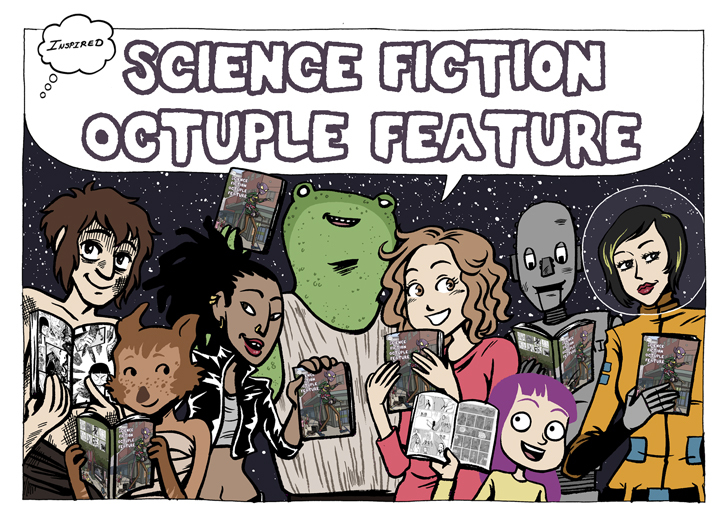 I'm really excited about taking these comics to Thought Bubble in November. The characters in the fan art I've drawn are owned by Sarah Fogg, Lily-rose Beardshaw, Laura McNulty (writer), Sammy Borras, Luke Bayliss (writer), Harry Griffin-Hayes, Cat Reda, Shaz Jubeen, Jacob Boniface (writer), Jack Davies and Gemma Sheldrake. This is the wrap around cover that you need to keep an eye out for at events and in comic shops. The illustrations in the square have been cropped from each of the comics in the anthology. Ink + Paper will be launching at Thought Bubble too. 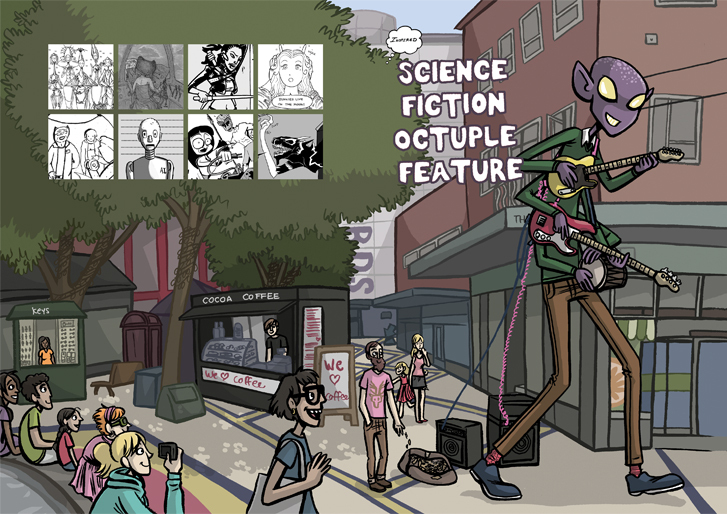 The cover has recently been announced as well as a launch party at Orbital Comics in London. 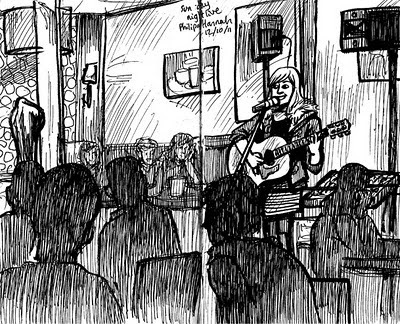 This sketch of Philippa Hannah at Sunday Night Live (on a Wednesday). I recently posted a couple of new gig sketches to my flickr gig sketches set.